Kick into high gear with a responsive and comfortable ride from start to finish. The Cheetah Xtend is the perfect companion for longer sprints and short-distance running (400-5000m). This highly effective carbon fiber blade has a continuous curve toward the toe offering a smooth rollover. The longer, flatter toe enhances push off, while the plantar flexed pylon supports better forward progression. The Nike Spike Pad has been designed exclusively for the Cheetah. 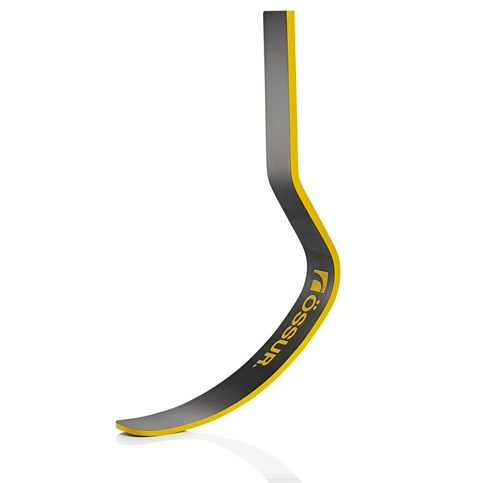 It provides specialized traction that has been optimized for the blade. A new alignment adapter for the Cheetah is now available for quicker set up and easier alignment off the blade.